This feels like it has been a long week. So much thinking, reflecting and wondering. I have been really proud of our little school and community, and of the togetherness that has been apparent. Last weekend, I made the decision to have a short assembly on Monday morning. I knew that some children would arrive at school on Monday morning completely oblivious to the events in Christchurch, whereas others would have a detailed knowledge. This was made clear to me almost as soon as I arrived – I had kids running up and asking me “had I heard?” There was nervous excitement, and fear. I wanted to protect those who did not know, by telling them “enough”, but also focussing on what is important moving ahead; that we are safe and that we must challenge ourselves to always show love, kindness, compassion and respect so that this may never happen again. It was a good time to reflect that we don’t all have to have the same belief systems, religion, and home lives, because kindness and respect go across all. As a nation, there have been many opportunities to show unity this week. Many of our students have been to see me with ideas about what we could do as a school. I have listened, thought about, and acknowledged all these ideas, but also made the call that we wouldn’t overload our kids. They are only small, and some times the line between just enough & too much is very fine. I would however, like to thank our teachers for their strong values focus in class this week. 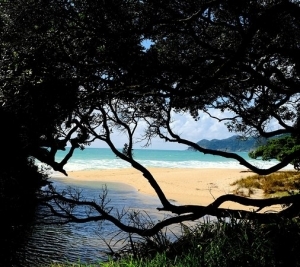 Kia kaha, and hold your loved ones close. As part of our 10 year celebrations this year, the school & PTA are working together to produce a calendar for 2020. This will consist of both large landscape photos, and smaller pics of families enjoying our beautiful area. We invite families (and friends in the wider community) to submit photos in either of the two categories below, to be included in the calendar. We will acknowledge who took/provided every photo (unless requested otherwise). Please send any entries to mbale@snellsbeach.school.nz, or see us at the office if you prefer to transfer via a memory stick etc. Don’t be shy! We don’t necessarily want all the most “arty” pics – we want to truly represent this beautiful place we live, and the cool people in it. Unfortunately there seems to be quite a nasty “school sores” virus doing the rounds at the moment. Impetigo will NOT go away by itself – antibiotics either cream or orally are needed. School sores can be open and weeping but often start by looking like mosquito bites. They can also appear in cuts or grazes that looked like they were healing. IF YOU ARE UNABLE TO TAKE YOUR CHILD TO A DOCTOR FOR WHATEVER REASON, PLEASE CONTACT EITHER MISS RAMEL OR MR MORLEY – WE CAN GET THE HEALTH NURSE TO ASSIST. For those needing a smile…..
It’s been a tough week. Take a moment to enjoy Namakei’s smile, and smile with him! This is the smile of a boy who has gone up 12 levels in reading so far this year, and is SUPER proud of himself! We are too! 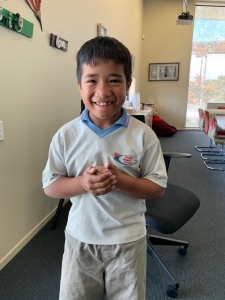 Well done Namakei! 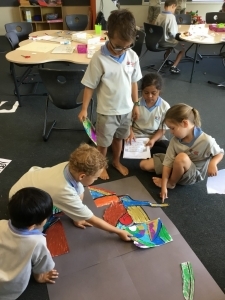 This is Manawa 2’s team work Kiwi. 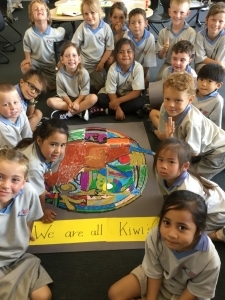 “We are all Kiwis”. Great co-operation, participating and contributing happening and ties in nicely with their Inquiry too! (int) agreed! I support that! Next Thursday 28 March at 7pm in our school hall, Kylie Ryan from “The Tough Stuff” will be presenting an evening that we recommend parents of ALL students attend. This session will also coincide with our Senior School Puberty Talks. Kylie will provide you with some practical ideas around handling those “tough” questions all kids ask, as well as some pointers for keeping your child safe. She uses plenty of humour, and information is passed on in a way to which you can apply your own religious, cultural or family beliefs. Let’s be honest – these questions are some of the toughest bits of parenting! 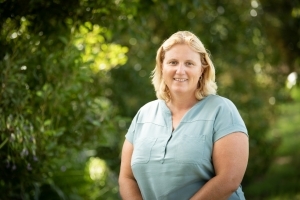 Kylie Ryan, the founder of The Tough Stuff has over 20 years clinical and training experience in mental health and sexual health – with specific expertise in prevention of suicide, sexual violence, and drug and alcohol related harm. She has developed over 20 primary prevention programmes across the spectrum of mental health and sexual health issues, and trained over 30000 young people and 15000 professionals. Cost: gold coin donation Adults only please!